I am so excited to dive into more Little Lady June nursery posts with y'all! David and I have been working away on this sweet little room and it's just about done. I thought about doing a big reveal and then sharing the details... but where's the fun in that? Instead, I plan to do the reverse and share the steps we've taken along the way with a big ol' pretty pink reveal at the end. As you know, we painted the nursery a sweet light blue color. With the walls ready to go, I attacked the floor next. In terms of what I was looking for, I knew that I wanted something pink on the floor to counter the blue walls. Specifically, some sort of graphic print. A kid-friendly rug that wasn't too kiddish. 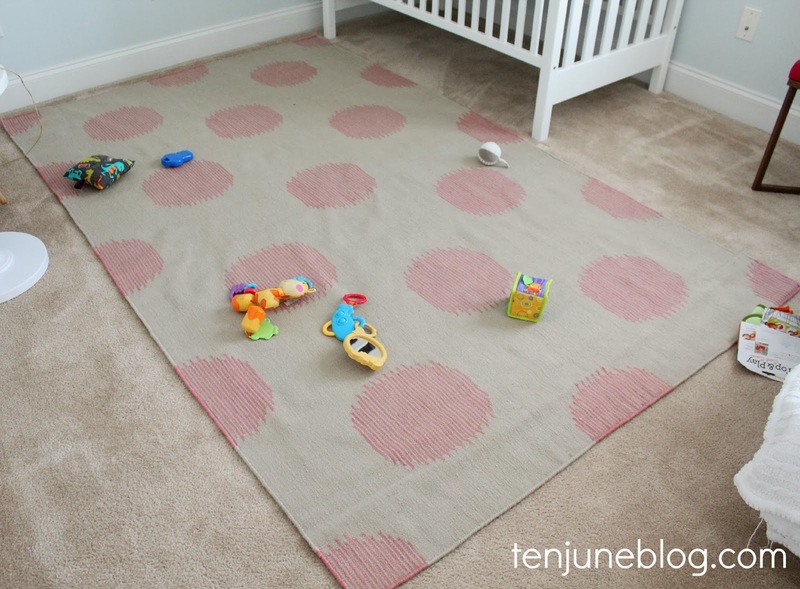 While I'm typically a big fan of soft, high pile wool rugs (especially for a kids room! ), David and I decided we wanted a thinner flat weave rug to go on top of the thick carpet in the room. 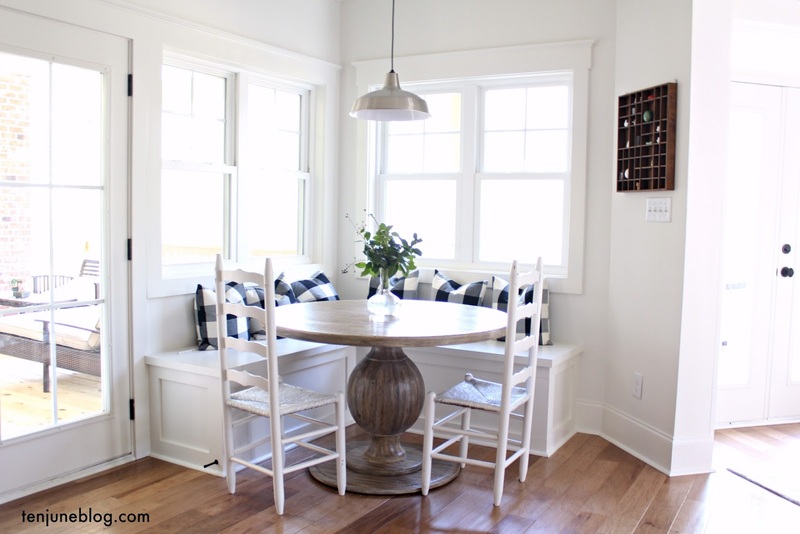 Ideally we'd still be on hardwood floor like our old house, but we do the best we can as renters! 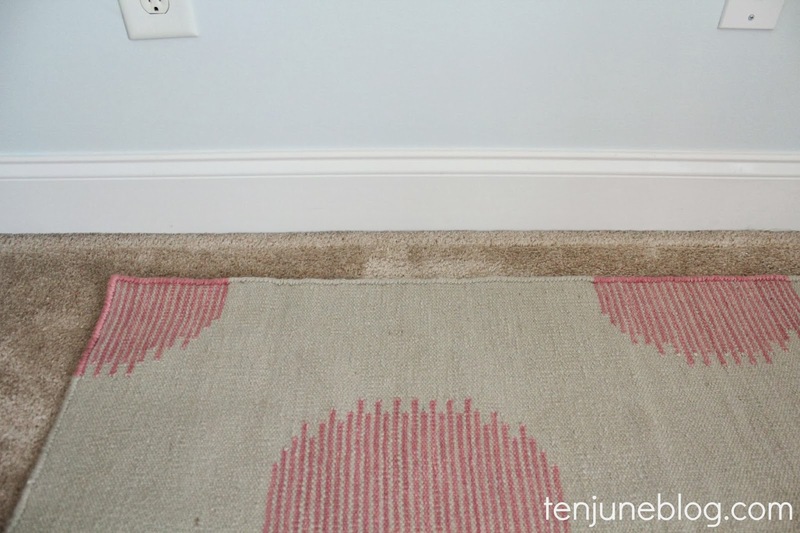 So, what source can I shop from a whole bunch of gorgeous, girly pink flat weave rugs? Duh. Lulu and Georgia! L+G is one of my favorite online retailers. In fact, you may remember my lovely L+G outdoor rug that I used to spruce up our back patio last summer. I really do love me some Lulu and Georgia. They have so many beautiful decor items, especially the rugs. Like the precious polka dot rug we chose for Little Lady June's room! It's the Genevieve Gorder Dot Rug in Peony in the 5'x8' size. 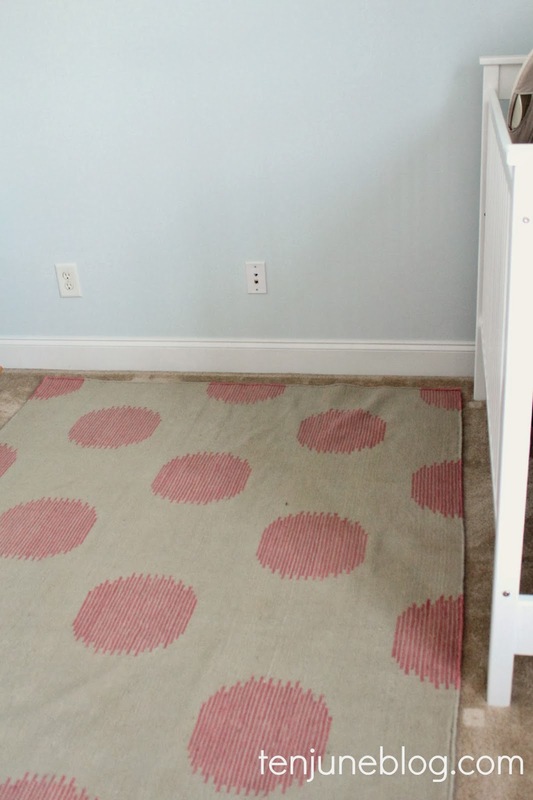 The quality of the rug is amazing and I pretty much want to giggle every time I see those sweet little pink polka dots. As I mentioned, we would normally buy a softer wool rug for a space like this, but this 100% wool flat weave is super comfortable! Seriously, HDawg was rolling around on it and playing with LLJ's toys like he was on a super soft cloud. It makes me feel so happy knowing that not only did we get a pretty rug, but we got a rug the kids will feel comfortable on, too! 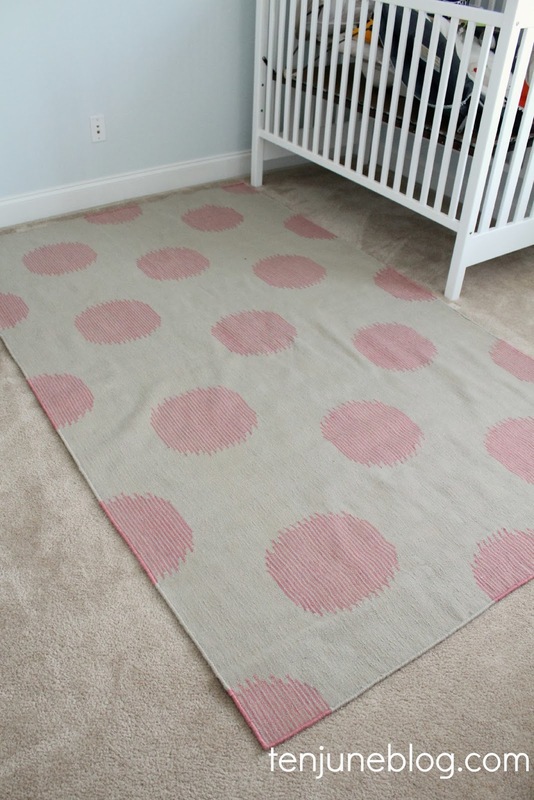 This amazing rug adds the perfect layer to our sweet little girl's nursery. I'm seriously in love! If you're as big of a fan of Lulu and Georgia as I am, you're in luck. Use the code TENJUNE20 for 20% off your order at Lulu and Georgia between now and Sunday! It has been so much fun putting together this girly space for our soon-to-arrive little bean. I can't wait to share more! Awe. That rug is so so sweet!!! Love it! And it looks great with the blue walls! In LOVE with that rug! It's so adorable!